SND has become a hotspot for innovative platforms, with more than 80 institutes so far of which 21 were newly added in 2017. 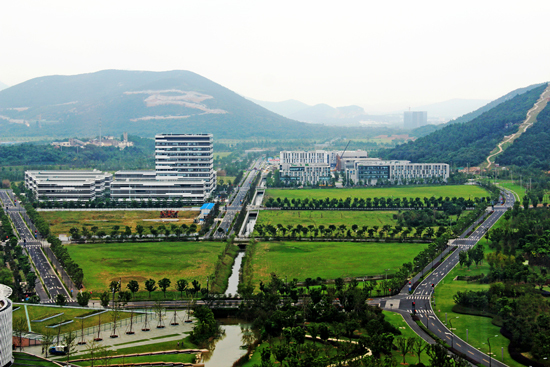 A number of institutes opened in the district, including the Research Institute for Environmental Innovation (Suzhou) of Tsinghua, State Grid (Suzhou) City & Energy Research Institute Co, the Suzhou Medical Appliances Research Institute of Southeast University and the Suzhou Electroacoustic Industrial Base of the Institute of Acoustics of the Chinese Academy of Sciences. Beihang University and Nanjing University of Aeronautics and Astronautics have signed agreements with SND to build innovation institutes. Some key projects such as the Suzhou Power Environmental Energy Research Institute have settled down in SND. In addition, the district has built a big data management platform for industrial enterprises, helping enterprises above a designated size improve profit and tax by 8.2 percent and 7.4 percent respectively. Huada life and health town and Suzhou finance town were designated as two of Suzhou’s first characteristic towns. Suzhou embroidery town was also so designated and was one of the first national pilots for culture and tourism integration. SND was also selected as a Jiangsu characteristic base for fin-tech service and a pilot area for culture and finance integration. Furthermore, SND has rolled out a series of policies concerning talent and technology, attracting more than 210,000 talents, with the number of sci-tech leading talents and teams exceeding 800. The district has now gathered 444 high-tech enterprises, 1,574 private technology companies at the provincial level and over 1,000 research institutes. Its investment in R&D accounted for more than 3.5 percent of the GDP. The number of patents per 10,000 people is 97, four times the average provincial level.